First, I would like to digress and say that Ethiopia has a very special meaning to me as well as a place I have visited. Since a young boy, I have wanted to visit Ethiopia, ever since my Father came back from a trip there in the 60’s and showed us his slides of this incredible country. So, when last year I was able to travel there for a week long jaunt, I was overwhelmed. Like many cities in the third world, Addis Ababa itself overwhelms. It is crowded, dirty and poor. It has a mass mixture of humanity going about daily affairs. And, it is home to both Christian and Moslem people who seem to mostly live with a great deal of empathy and consideration for each other. The history of the long association between the two “Faiths” is ancient and dates back to 615, when the Christian Ethiopian ruler welcomed the Mohammedan and gave them safe passage. 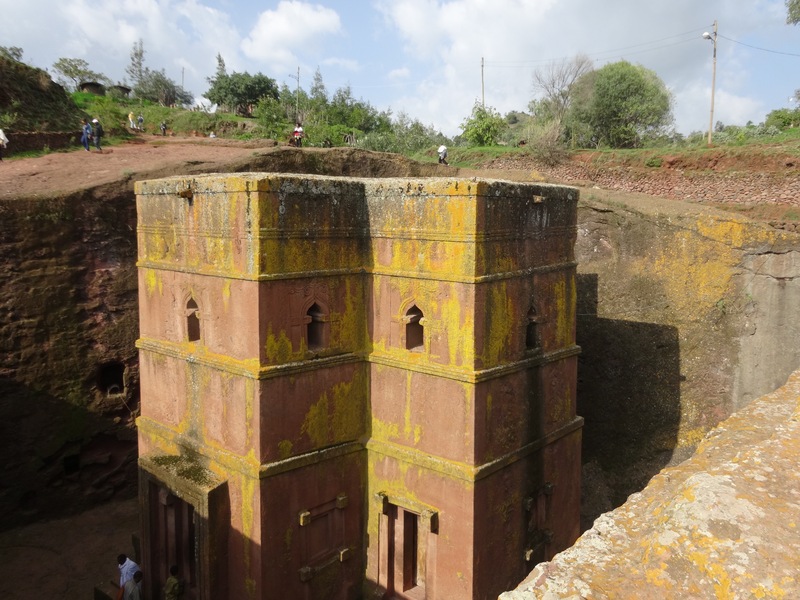 I did not visit the place of this first tentative settlement but instead chose to visit Lalibela, in northern Ethiopia. Lalibela is “overwhelming” in both beauty and peace. What an incredible experience to see literally everyone everywhere wearing a cross and daily practicing their Christian Coptic Faith. Even though the people here are barely above subsistence level farming and face starvation should their meager hand plowed crops fail, there peace, love and generosity were incredibly apparent. So, what happened here this last month is beyond unbelievable to me as I ponder the entire region from Saudi Arabia, the Middle East, and Eastern Africa and the suppressive struggle of Islam over all of the people’s of different faiths who have inhabited these regions for thousands of years. And, part of my pondering is what will happen in Europe and the America’s as this aspect of religion continues its ever spreading expansion? How will the world deal with the inevitable flood of persecution and mayhem that seems to historically, always accompany this expansion?